In this tutorial, you will learn how to install an SSL Certificate in AWS (Amazon Web Services). Prior to the installation, you need to generate a Certificate Signing Request (CSR) and send it to the CA for approval. If you haven’t completed this step, refer to the first part of the tutorial. If you already have the SSL Certificate files, you can jump straight into the SSL installation guide. The third part of the article covers a brief history of AWS and its rise to success. Finally, the last section reveals where you can buy the best SSL certificate for your AWS server. How to generate a CSR code in AWS? Where to buy an SSL Certificate for AWS? When applying for an SSL Certificate, one essential step is to submit the CSR code to your SSL provider also called Certificate Authority. The CSR contains encoded information about your domain name and company. You can’t obtain a signed SSL Certificate without providing this block of code. Common Name: Here you need to specify the fully qualified domain name (FQDN) that you want to secure. For example, yoursite.com. Note:If you intend to install a Wildcard SSL Certificate, add an asterisk in front of your domain name (e.g., *.yoursite.com). Email: Provide a valid email address. Depending on the Amazon service you’re using, there are several ways to generate the CSR code. The best option is to create the CSR on the same server where your SSL Certificate will be running. Note: Replace the yoursite attribute with the domain name you want to secure. After you generate the CSR code, you will receive a block of code. Please copy and save it into a text editor, including the —–BEGIN CERTIFICATE REQUEST—– and —–END CERTIFICATE REQUEST—– tags. You will need this code during your SSL certificate activation. If for some reason, you aren’t able to generate the CSR via the above options, you can use or CSR Generator tool. We’ll also back up your private key and send it to your inbox. Your SSL Certificate and the CA Bundle should be in the archived folder (zip folder) that he CA sent you. As for the private key, you’ve generated it along with your CSR code. It resides in the same place where you created the CSR. One last thing to take care of is the format of your SSL files. Since Amazon accepts only the PEM format, you must ensure that your SSL certificate and private key are in PEM. This particular format has a variety of extensions (.pem, .key, .cer, .cert, etc.). If you’ve received your files in another format you will have to convert them to PEM. You can do this with the help of Open SSL commands. Your files are already in PEM format? Great! Now, you can install your SSL certificate. Run the command below in the command prompt to upload your cert to AMC. Note: Replace the example attribute with the actual names of your files. If the upload is successful, you will receive the certificate ARN (Amazon Resource Name). You will need this identifier to manage your SSL certificate. Here’s the complete list of ACM commands to further manage your cert. Private key file parameter: type the name of your private key file. If your upload is successful, the command prompt will generate a table with the server certificate metadata including its server path, name, ID, ARN (Amazon Resource Name) identifier, upload, and expiration date. For further help on your SSL management and troubleshooting, refer to Amazon’s official guide. 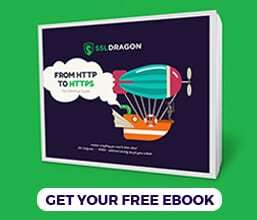 This section presumes that you’ve already uploaded an SSL Certificate either in IAM or ACM, and want to create or update HTTPS listeners on the existing classic and application load balancers. You will need your certificate’s ARN (Amazon Resource Name) and the existing load balancer’s ARN to install the cert in ELB. The ARN value is the ARN of your SSL certificate. The New ARN value is the ARN of the new SSL certificate you want to import. You can find the full range of ELB commands here. The official Amazon guide on HTTPS Listeners for Classic Load Balancer is available here. It will reveal the relevant info about existing load balancers and target groups in your AWS framework. To further manage your application load manager, click here. Browse the HTTPS version of your domain and check if the SSL green padlock is present. You can click on it and inspect your certificate’s details. To perform an extensive test, use these highly recommended SSL tools. They will scan your installation and create instant reports. Amazon Web Services (AWS) is a subsidiary of Amazon that offers on-demand cloud computing platforms on a paid subscriptions basis. First launched in 2002, the platform provided only a few disparate tools and services. In 2006, it officially re-launched with a wider suite of offerings including Amazon S3 cloud storage, SQS, and EC2. Today, AWS comprises more than 90 services. Individuals, companies, and governments use AWS for networking, storage, computing, analytics, deployment, Internet of Things, etc. With over a million active customers every month in 190 countries, AWS is the market leader in cloud computing, surpassing Microsoft, Google and IBM. SSL Dragon’s prices are the lowest on the market, while our highly skilled support team is appreciated by the existing customers. 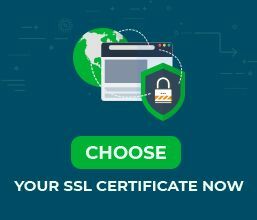 If you don’t know what type of SSL certificate to pick for your site, use our SSL Wizard and Certificate Filter tools. They will help you find the perfect SSL product.